At Meal Exchange, we support colleges and universities across Canada to be leaders in serving good food for all. Food can support the local economy and promote health and dignity - or, can further the gap between the rich and poor. Food can nourish our environment, or deplete it. We believe that food can be good - healthy, just, sustainable, equitable, DELICIOUS - and accessible to everyone. Canadian campuses spend over $300 million on food every year - enough to greatly impact our communities. 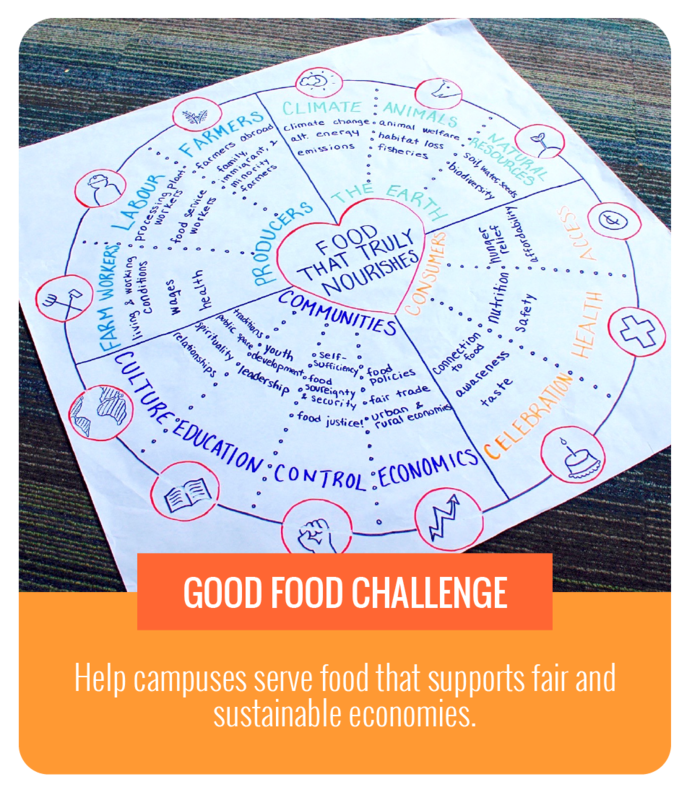 Campus food purchases contribute to inequality and pollution in our food system, but could instead support businesses that are shifting the industry towards justice and sustainability. As institutes of learning and research, campuses have the potential to inspire change. STUDENTS are driving this movement.